Yes of course. 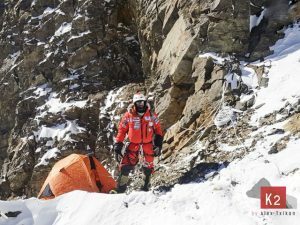 If you face such severe blow of fate as I did on Manaslu, where I have lost my two very close friends at that time, such a mountain weighs heavier on you than mountains where you experienced your greatest successes, such as Everest or Nanga Parbat. 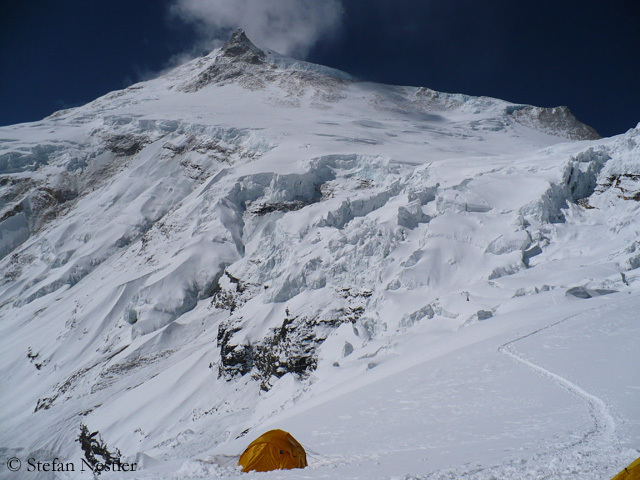 You said at the time: This experience was so traumatic that I never want to return the Manaslu. Why now this change of mind? I really did not want to go back. I always thought this would only reopen the old wounds. 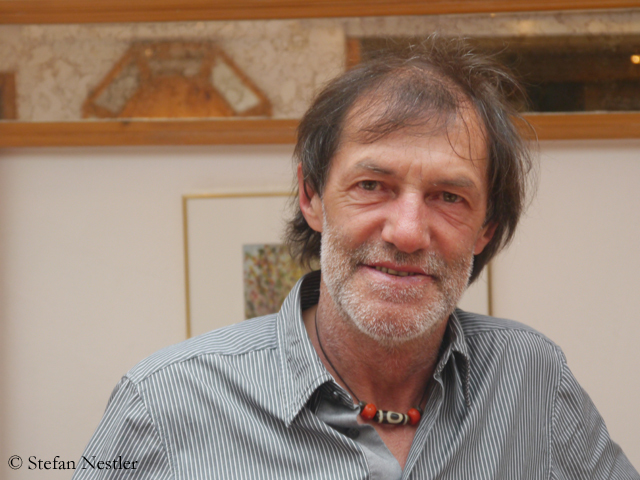 A few years ago (in 2006) in an attempt on (the 7350-meter-high) Jasemba in Nepal – we were a team of two – a very good friend of mine (Luis Brugger) fell to death when abseiling. The next year I was there again, and I successfully completed the ascent along with Karl Unterkircher. I’ve found: It’s better to go forward instead of sticking your head in the sand and stop everything. The idea arose to return to Manaslu, without any pressure to perform, trying quite relaxed to scale to the mountain thus finishing a path. This is what we will try this year. We’re gonna make a big movie. It should not be sensational but go in depth. It will be a portrait of my life, with ups and downs. And Manaslu will be the main theme. You once wrote that you felt complicit in the death of your two friends for many years, and that you were no more able to feel happy in the mountains. Are you meanwhile at peace with yourself? Yes, absolutely. But, of course, it’s clear: As an expedition leader, you always feel a little guilty. I wanted to give my friends the chance to climb an eight-thousander, as Reinhold Messner did with me when I was a young climber. 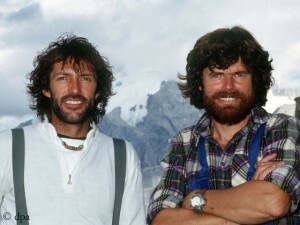 Then we do not reach the summit and the two top friends have accidents. Though it’s not your fault, you are very depressed. Nevertheless I would like to tell people now: No matter what happens to you in life, go forward! If someone falls down the stairs and gets injured, he can not avoid stairs for a lifetime. In this cinematic portrait we will show not only brilliant successes but also the deep pain I suffered very often in life: by the loss of friends, by a serious car accident for which I had to take the blame. These were very serious, unintended cuts. They all will come to light in this film. You brought up the car accident at the end of 2013, when a young man was killed. You drove under the influence of alcohol, and you received a two-year suspended sentence in 2015. Can one get rid of such a story at all? If you make a mistake, you do not want to make it. Then it happened, and you have to try to live with it. Of course, no one in the world knows how many people’s lives I’ve saved as a mountain rescue man. And then you make a mistake and you are blamed, not for everything, but a big part of. It was unintended, and that’s what you also must be able to live with. That’s hard. If you made a mistake and something dramatic happened, this is very, very, very hard. Because you have no credit from the public. As a well-known person you are reduced on this mistake. This is very, very bitter. Let’s go back to Manaslu. Since last December you are 60 years old. How do you prepare for your first eight-thousander expedition for over 15 years? I will not prepare in a special way. I have an incredible routine. I know exactly what my body is able to do and what not. This expedition should have nothing to do with performance. For me personally it should only be a path that I would like to finish. Perhaps I will be successful. In this case I would be very well balanced in my mind and could say: Now you can retire. Now you have reached your great goals on the mountains. 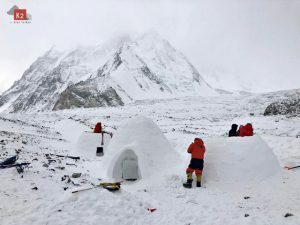 Over the years, I just stalled the Manaslu project, postponed it and never again set myself this task. Are you going to climb without bottled oxygen? Supplemental oxygen was always out of question for me. I do not need it. Of course, I trust myself to climb this mountain, otherwise I wouldn’t have taken the project into consideration. I am still relatively fit. And there have been many older ones at great altitudes, who have not had much experience. I have it. So I do not have to run like mad now to get me into shape. Do you want to ascend via the north side of Manaslu, as in 1991? I would like to go to the South Face. I still prefer a steep wall rather than a long and easy but exhausting walk. Climbing via the south side would also have the advantage that you could avoid the masses, which you will surely meet on Manaslu in fall. For sure 99 percent of the climbers will be on the north side. This has really changed a lot. 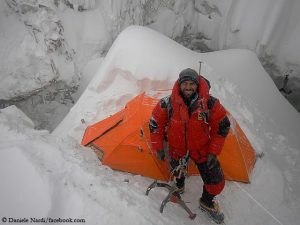 At the time we were alone on Manaslu. But that’s not an issue for me, anyway, because I will leave only in November and go into the winter. Then there is no one left, and we will have the mountain for ourselves. There will certainly be more wind and coldness, but the weather will probably be more stable. I took all this into account. I do not want to ascend in such a mass. 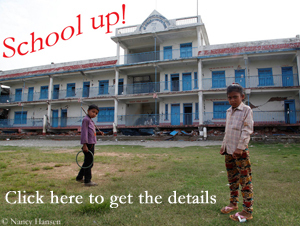 In case of success, the 14 eight-thousanders would be within your reach. 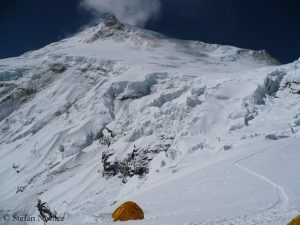 Besides of Manaslu, you are still lacking Shishapangma, where you were “only” on the Central, not the Main Summit. Would that be an issue for you? 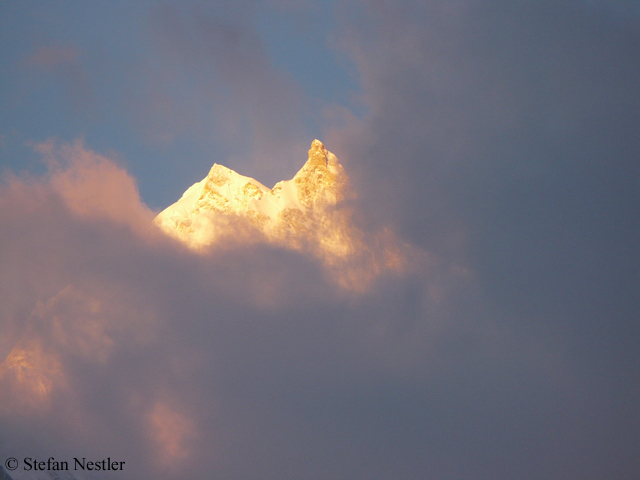 If I reach the summit of Manaslu, I – for me personally – would have completed the 14 eight-thousanders. Because the (8008 meters high) Central Summit of Shishapangma indeed is an eight-thousander. At that time Shishapangma was my training summit for Everest. I really blew it. I climbed directly to the Central Summit, saw a few prayer flags on an ice axe and didn’t cross via the ridge to the Main Summit, which is a few meters higher. I am not interested in it, the number 14 was never an issue for me. In case of success at that time I had the chance to become the fourth climber on all 14 eight-thousanders. I am interested in other stories, trying something new, not only being listed.